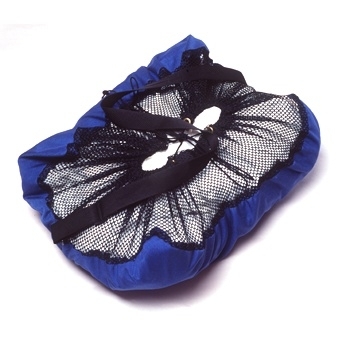 Our Floor Tote gives you a clean place to stand while changing, then becomes a mesh tote for your wet paddling gear. Simply stand on the bag and drop your clothes at your feet as you take them off. After changing, step out, pull two drawstrings and the bag encloses your wet things. The floor is made of waterproof nylon cloth and the nylon mesh sides promote air circulation. After everything’s dry, store your paddling gear in the Floor Tote until your next adventure. Available in blue or burgundy with black mesh. 30" x 30" with 8" mesh sides.